When NEEDTOBREATHE took the stage you could tell that the crowd was amped up for their performance—as far as a mile away from its venue, the Aragon Ballroom. They opened up their set with “GREAT NIGHT”, one of the hit singles from their latest album H A R D L O V E, and it truly set the scene for the night to be just that. Every song was followed with an explosion of applause, and as soon as the next song started the same cheering followed. Each track was an incredible experience for the crowd, with the band taking every chance to let those in attendance get involved. During the song “Drive All Night”, they had the entire room jump up and down to the beat, and it looked like massive waves of people. The best song of the night was definitely “HARD LOVE”, though. The passion and grit of Bear Rinehart’s voice was only accentuated live, and you could feel the warmth emanating off his vocal chords. The southern rock band’s shows are truly awesome to see, with mesmerizing lighting to perfectly complement their musical talent. 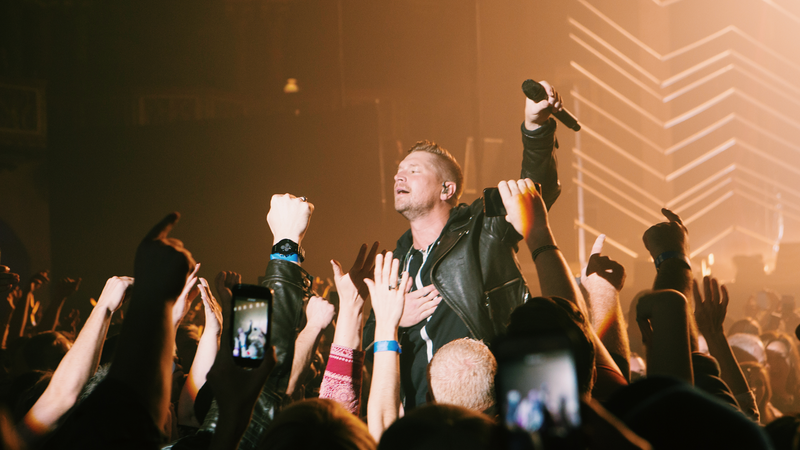 Check out our photos from the show below, and be sure to track NEEDTOBREATHE on Bandsintown so you don’t miss out when they come to a city near you.